After a quick trip through Unionhall to admire the fishing boats my Aunt and I headed to Glandore to enjoy the gorgeous weather. After some nifty parking on behalf of my Aunt we went to a nearby pub to enjoy some coffee while sitting out in the sun. It’s hard to beat Ireland when the weather is this good. 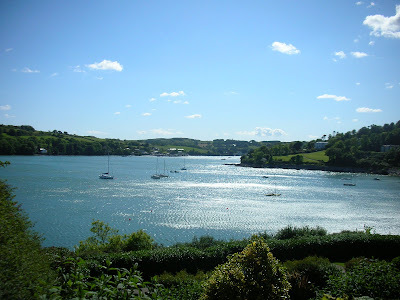 Nice pics of Glandore! My grandfather is from there and I still have family there. Spent many a summer in the village. What pub you go to? # posted by Mick : June 13, 2007 12:42 p.m.
Ok, I can't actually remember the name of the pub but there were two pubs side by side with picnic tables outside looking out on the water. Does that sound familiar? At a stretch I think one of the pubs may be called Hayes. 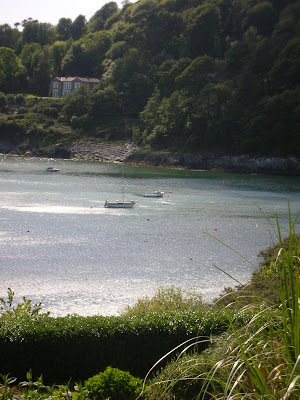 # posted by Betty the Sheep : June 14, 2007 8:34 a.m.
Yeah one is Hayes' bar, the other the Glandore Inn. I've frequented them both many a night. # posted by Mick : June 18, 2007 9:38 a.m.